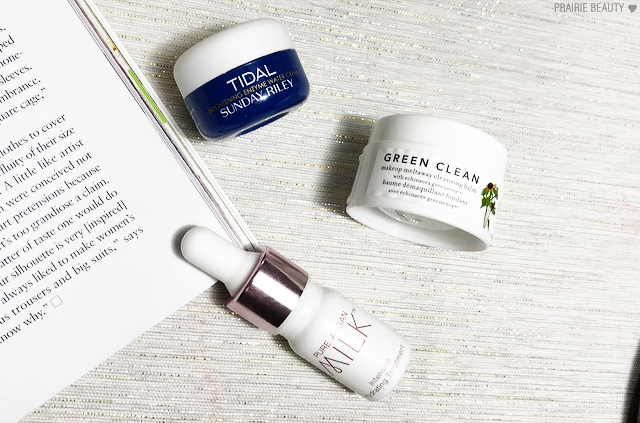 I feel like every blogger puts together their monthly favorites a little bit differently. For me, it's a pretty straightforward process. I don't keep notes or make a list of everything I wear over the course of the month or anything like that. 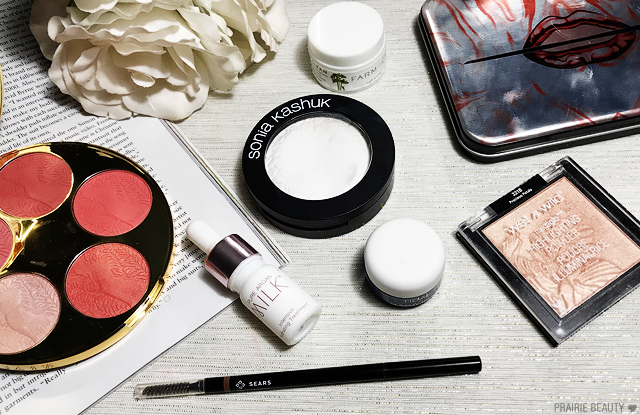 When it comes time to put together the post, I sit down at my vanity and I just think for a while about what I reached for a lot over the course of the month and I play with the products and I compare them to other products. I also don't only include new or new-to-me products. I want to give a clear representation of what stands out in my collection, whether it's new or something I've owned for years, because I think that gives you insight into what really endures. Sometimes I thinkwe lean too heavily on what's new and hot. Anyway, I'm not sure why I felt inclined to share that with you guys this month, but I figured I'd just give a little bit of insight into how this really works for me. Keep reading to get to the favorites! Me and this product have been reunited this month - and it feels so good! I actually tasked my mom with picking one of these up for me while she was in Palm Springs last month and was lucky enough that she brought me home too. This might be my all time favorite product for setting my undereyes. It gives a little bit of brightness, but what sells it for me is that it sets the undereyes without adding texture or heaviness. I am seriously so happy to have this back in my life. I'm not entirely sure why this came out so much over the past month, but it really was the highlighter that I was reaching for most. I love this formula, this shade is really gorgeous and works on my fair skin even though it almost seems like it shouldn't, and I just love it. I'm actually really, really hoping that more shades of the Megaglo Highlighters end up in stores here soon, because there's another one I've got my eye on. I don't think I reached for a blush that wasn't in this palette all month. 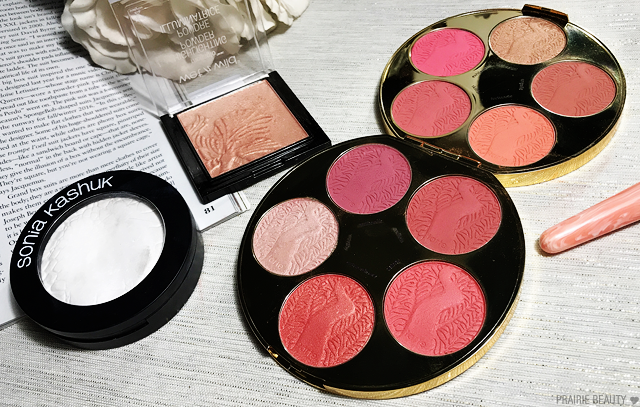 I love the tarte Amazonian Clay blush formula and this shade literally has every blush shade I could ever need. Okay, that's not entirely true, if I had my way this palette would have the Sephora birthday gift shade from last year, but that's just nitpicking. This palette is amazing and I'm thrilled to have it in my collection - I suspect it might pop up in some more favorites through 2018. If you read my review of this palette, you'll know that it definitely wasn't perfect for me and I just don't really enjoy the metallic shades in this palette, but it doesn't have to be perfect to be a favorite for me. 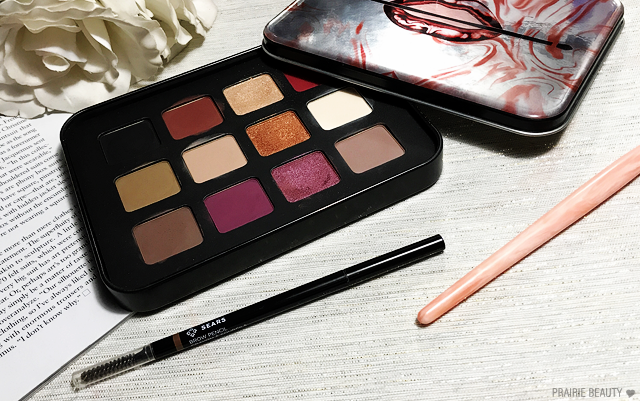 I absolutely love the matte shades in this palette, which comprise ¾ of the palette, and I've been reaching for it constantly to build out my eyeshadow looks and pairing it with other shimmer shades that are more my taste on the lid. Honestly, this matte formula is one of my favorites and I can't say enough good things about it. I wasn't going to include this, since it was only available for a blink before SEARS closed for keeps here in Canada, but I've been using it literally every day and I really, really love it. I've tried a LOT of skinny brow pencils over the years and they're definitely not all created equal and this one is really solidly good. It has a formula that isn't too stiff or too creamy, has good undertones, and wears really well throughout the day. I'm pretty sad that I didn't grab a few more of these before they were gone. For Christmas, I got a the Smashbox lipstick set and obviously the shade Famous was going to be my favorite. I mean... is anyone even a little bit surprised? I actually do really love this formula though. It's really creamy and comfortable and I find the colour pay off is solid. Overall, I'm actually really tempted to pick up this lipstick in a full size. My biggest favorite lip product this month, though, is definitely this lipstick. I literally love everything about it. It has a really beautiful formula that is super pigmented as well as comfortable and fairly long wearing for a créme type formula, and the shade is pretty much exactly what I personally want to reach for every single day of my life. I've definitely fallen in love with this lipstick and I'm pretty seriously considering picking up a couple more shades - even though this one is the stuff of my everyday dreams. I feel like it's only recently that I've really figured out just how well a gel cream works for my skin and I've definitely fallen in love with this one. I can't entirely say why, but it just really works with my skin for day time wear. It gives just enough moisture to keep my skin looking and feeling hydrated without overwhelming it and works beautifully under makeup. What more can I say? I just really, really love this. I've wanted to try this basically since as soon as it came out and I fell completely in love with it from the first time I used it to remove my makeup. It's really lightweight, but packs a serious punch in melting down my makeup and getting off every stitch of it to leave my skin really clean, but it doesn't leave any residue on the skin once I remove it. I'm definitely going to be reupping on this one. This has actually been a long time winter must have for me but I only just got my hands on another tiny size. I tend to not enjoy the feeling of a lot of oils on my skin, but this one has a beautiful texture that soaks into the skin quickly to give a lot of hydration but doesn't leave a greasy feel on the skin. It's just absolutely gorgeous and beats out pretty much any other oil treatment for me. As I'm writing this, I have to admit that I don't really feel like myself... but every single one of these products is one that I love, use consistently, would recommend, and have every intention of keeping in my collection for a long time to come - even if it means splashing out for expensive repurchases. Thanks for reading! 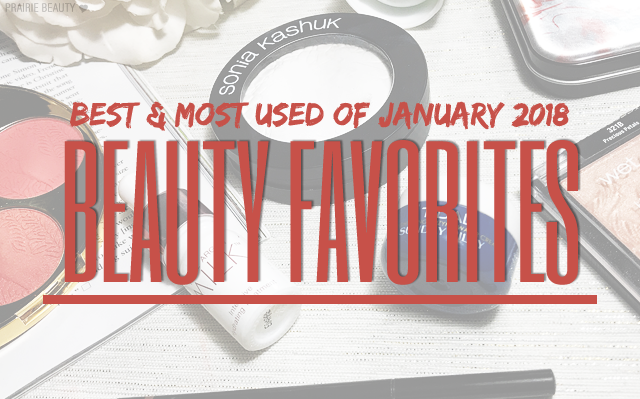 Let me know in the comments if any of these products are on your favorites list!